1. Junior Engineering Assistant-IV (Production) - 3 years Diploma in Chemical/ Refinery & Petrochemical Engg. or B.Sc. (Maths, Physics, Chemistry or Industrial Chemistry) from a recognized Institute/ University with minimum of 50% marks in aggregate for General & OBC candidates & 45% marks in aggregate in case of SC/ST candidates against reserved positions. 3. 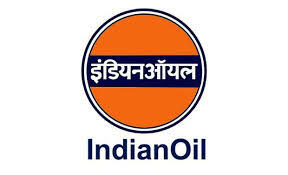 Junior Engineering Assistant-IV (Mechanical)/Junior Technical Assistant-IV - 3 years Diploma in Mechanical Engineering from recognized Institute/ University with minimum of 50% marks in aggregate for General, SC, ST & OBC candidates & 45% marks in aggregate in case of PwBD candidates against reserved/ identified for PwBD positions or Matric with ITI in Fitter Trade with Pass class. 4. Junior Engineering Assistant-IV (Instrumentation)/Junior Technical Assistant - IV - 3 years Diploma in Instrumentation/ Instrumentation & Electronics/ Instrumentation & Control Engineering from a recognized Institute/ University with minimum of 50% marks in aggregate for General & OBC candidates & 45% marks in aggregate in case of SC/ST/PwBD candidates against reserved/identified for PwBD positions.